The new stage musical based on the hit 60s film starring Cliff Richard is coming to Darlington Hippodrome from Tuesday 25 September for one week only. Enjoy fun and laughter on a Summer Holiday when the stage musical packed with classic Cliff Richard hits comes to Darlington later this month starring Ray Quinn. 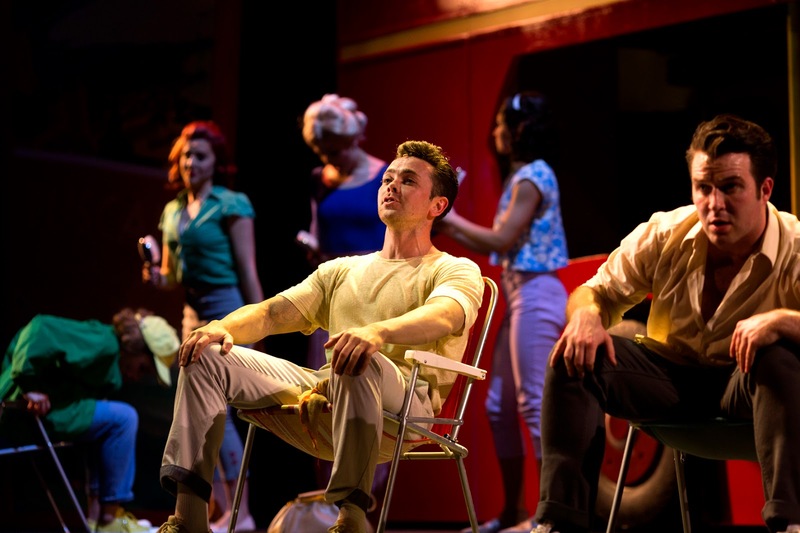 Based on the iconic 1960s film starring Cliff Richard and The Shadows, this new stage musical includes all of the number one hits from the movie, plus some additional Cliff classics. The famous red double-decker bus will be stopping of at Darlington Hippodrome to entertain audiences from Tuesday 25 to Saturday 29 September. Summer Holiday tells the story of Don and his fellow London Transport mechanics as they journey together in a red double-decker bus through Paris, the Alps, Italy and Greece. Along the way they pick up a girl singing group and a young American pop star who is on the run from her domineering mother. 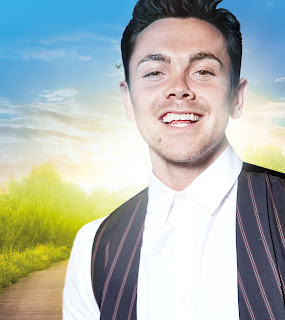 Taking the lead role of Don is Ray Quinn whose musical theatre credits include playing Danny Zuko in Grease in the West End), Dirty Dancing also in the West End, the UK Tour of Legally Blonde and most recently the UK Tour of The Wedding Singer. Tell us a bit more about Summer Holiday? 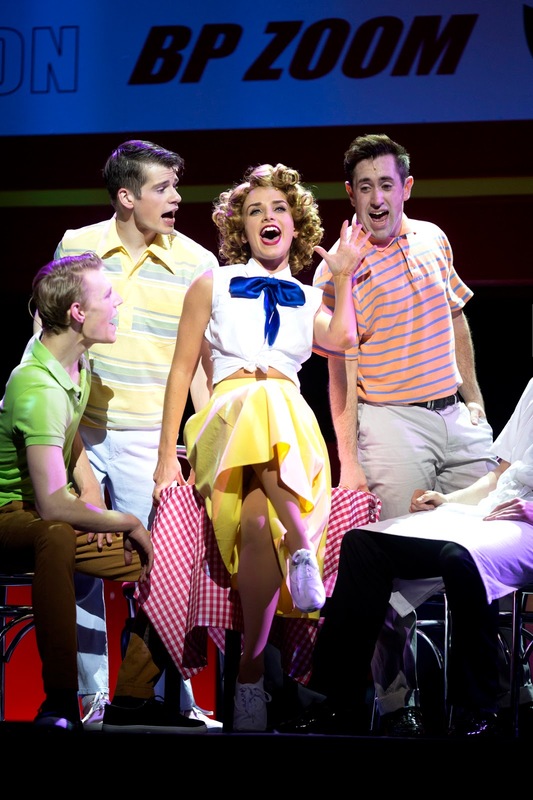 Summer Holiday the musical is based on the Iconic movie from the ‘60s. I am playing the role of Don, made famous by Sir Cliff Richard. With a group of friends we take a trip round Europe in a big red double decker bus - and along the way the adventure turns into a romance and lots of fun! The audience are in for a huge delight! 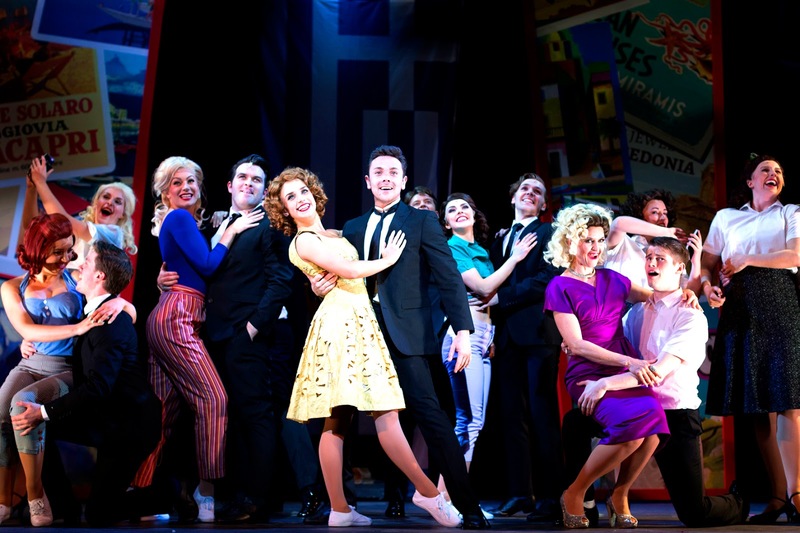 It’s fast paced and exciting, with iconic songs that everyone will know and want to sing along to. In a nut-shell it’s what I would call good old fashioned entertainment at its best!! To play the lead part in Summer Holiday, a role made famous by Sir Cliff must be a huge honour? I’m very excited but also a bit nervous at the same time. When I was offered the role I jumped at the chance and then it hit me! This is my first role as lead male and on a personal note it was my Nan’s favourite movie and she adored Sir Cliff Richard! So big boots to fill and I’m up for the challenge and I know my Nan would be so proud..
Did you watch the film a few times to help you with the role? Yeah, I have watched the movie several times to get my head around the role. I want to stamp my own identity on the part, but at the same time want to do justice to the original. I have to have a bit of a ‘60s posh London accent, so that’s totally new to me. And those iconic songs, such iconic hits! How many rehearsals did you have to do for this show? We had 3 weeks of intense rehearsals in North London studios, followed by a week of tech rehearsal in the theatre before opening in Liverpool. I know this sounds short but everyone in the cast and production team are so committed to making the show great and with my crazy schedule it had to be done! You are touring all over the country, I'm guessing that must be hard at times, being away from home so much? Yeah it gets little tough at times. I get to see my fans who have been with me since year dot !! I miss my family and friends, but when I get time off I spend it at home with them, which is always special. It seems like a lifetime ago, you finished runner up on the X Factor to Leona Lewis. Can you believe it was 12 years ago now? What was it like to be on the show? I know, I was reminded about this last week in an interview and it made me gasp… 12 years - wow! It was such an amazing and crazy period a whirlwind of ups and downs and to be in the final with Leona was incredible. X Factor was such a great learning experience for me and will remain one of my career highlights – I loved it! You won Dancing on Ice in 2009. Did you have much ice skating experience before you went on the show? I get asked this a lot and when I tell them ‘no’, they say ‘really? !’ I never set foot on the ice before I was selected to be in DOI. I like a challenge and I am kind of fearless sometimes (a little too much!). Working with Jane & Chris was amazing. I would go to rehearsals each week wanting to take things to the next level and they would always support my ideas for new moves and having them mentor me was such a big part of making those idea come true. Did you suffer any bad injuries during the show? Yeah I had a couple of accidents on the Ice, luckily not too bad but you have to expect injuries as it can be a pretty dangerous environment. Luckily I’m still standing! Like most people I like to spend my downtime at home with my Family doing the normal things. I don’t get to do this on a regular basis as I am tour a lot, so its important to me as that’s when I can totally relax and chill and recharge my batteries. If you hadn't of done the X Factor, what sort of job do you think you would have done? Well I could go on for day’s when it comes to this subject. My love for Swing and The Rat Pack comes from my childhood. My Dad is such a massive Fan of this era and he would play his records in the house and I started to sing along. When it comes to singing and dancing there’s no one to touch the great Jean or Fred. Playing James Bond. I’m a massive fan of the Bond Movies. My ultimate Bond was Sean Connery - he is Mister Cool I wanted to be him. I love action Movies and I think this is the ultimate British role..
Do you still get nervous before you go on stage? Yeah you bet! Opening night is the most intense time for me. Once on stage I’m fine, but those few seconds in the wings…oh boy! I love my job and couldn’t imagine doing anything else now. 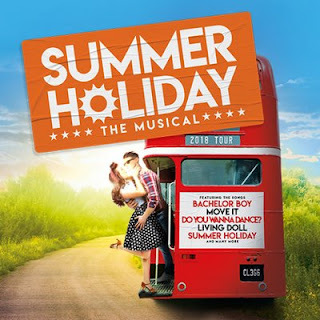 Summer Holiday runs at Darlington Hippodrome from Tuesday 25 to Saturday 29 September.